Out & About is a country fashion retailer focusing on high quality brands with excellent outfit options. Fit for the farm, the pub or a weekend in the countryside, we are here to make sure you are always looking and feeling the part! The Out & About brand was initially launched in Manningtree as an independent store. In 2014, Tuckwells bought Out & About and we started up our first shop which is located in the Lawn & Garden showroom in Ardleigh, Colchester. We are a little bit tucked away on the Dedham road, but we have off road parking and a nice, relaxed atmosphere where there is always someone available for advice and help if needed. In Ardleigh, we stock our full range of brands, and focus on both practical and stylish outfits and footwear for men and women. More recently, we have opened up a department in our Worlingworth branch at Tuckwell's, their longest standing depot. This is a smaller section than at Ardleigh, but has a core range of our country attire and footwear. We have carefully chosen the brands which we represent, and we work very closely with them to ensure we have the best stock and a good range of sizes where possible, stocking sizes 8-18. Our portfolio of brands is diverse and will suit all occasions and country lifestyles. The full range is located in our Ardleigh shop in Colchester, including Dubarry, RM Williams, Crew, Joules, Le Chameau, Aigle, Fairfax & Favor and more. Our vast range of footwear at Out & About, both practical and smart, provides us with real choice when helping to decide which pair would suit your lifestyle best. Whether you need technical wellies, or just a pair for walking the dog, we have a full selection. When it comes to smart country footwear, our ladies range includes Dubarry and Fairfax & Favor, and for men we offer Chelsea boots, deck shoes and loafers to suit all tastes. We are part of P Tuckwell Ltd, Agricultural Machinery Specialists in Suffolk, Essex, Herts & Beds. 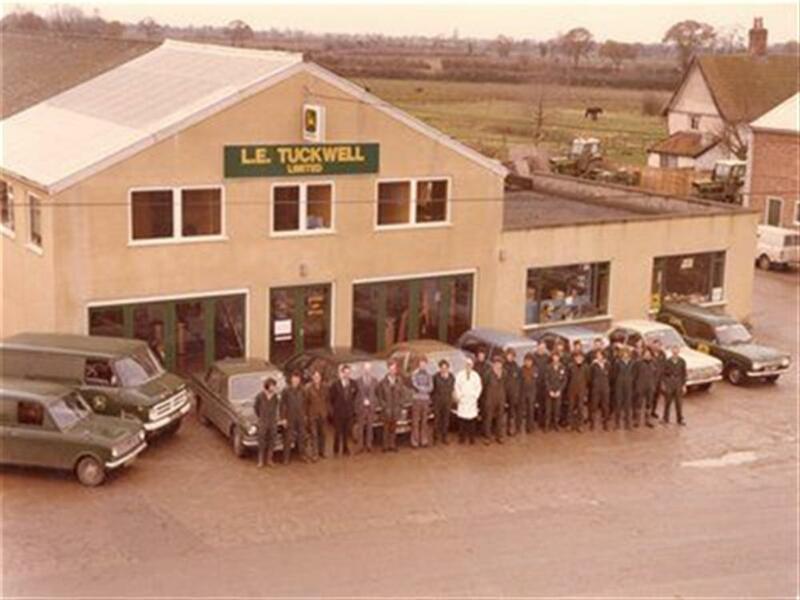 Tuckwells is a family run business, established in 1954, believing in quality products and excellent customer service. Please visit our contact us page for our addresses and details on how to get in touch. NOW OPEN - Our store in the centre of Framlingham on the market hill (next to the newsagents). In 1954 Len Tuckwell established a company called ‘Worlingworth Contracts’. The company employed three people and used Fordson Major tractors to contract spray farms at 7s 6d per acre, a service that at the time had no competition. It was this foresight that started the ball rolling for the Tuckwell family and it was not long before expansion into machinery sales came along with sub dealerships for Ford and Ferguson. 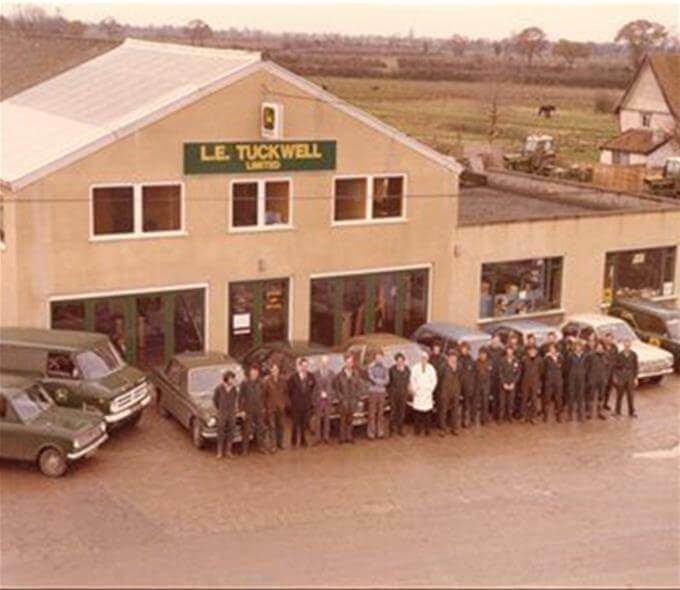 It was in 1965 however that the major development came in Tuckwell's history, when Len was approached by John Deere to become one of the UK’s first four UK dealers. Since those days the relationship has gone from strength to strength, during 1978 L. E. Tuckwell ltd were proud to become the first UK dealer to sell over £1,000,000 worth of John Deere products. By 1975 Tuckwell’s had expanded into North Essex with Len’s son Paul, at the tender age of 21, moving down to set up P Tuckwell Ltd at Ardleigh. This gave the company a new customer base to expand sales into and allowed the John Deere product to be sold into a part of the country where previously their representation had been poor. Paul brought his father’s service based approach to Essex and this dedication to after sales was exactly what the farming community wanted. In 1986 Tuckwell’s entered the amenity market with the appointment as John Deere groundscare dealers for Essex. In 2013 P Tuckwell Ltd acquired a small clothing brand which operated from Manningtree, Essex. Starting as an experiment in the Ardleigh Showroom it was soon clear to see that there was certainly a demand for the service. Hand-picking the right products from the right brands to be stocked meant that what the customer wanted, could be provided. Today the company continues to go from strength to strength, employing over 150 members of staff, across seven locations. Many of these are involved in after sales and over 60 are fully trained technicians in mobile workshops. The recent expansion of Out & About into Worlingworth has been a success, with the revamp of the showroom bringing new life into the original Tuckwell's depot. As you can see from this substantial family history, we pride ourselves on being able to deliver the best service, based on core values brought down through the years from Len Tuckwell.